Become part of a program that has a positive impact on a local and global scale. Awakened Spirit Yoga is committed to giving back to communities and the planet through an expansive, growing network of family and friends. We want to support individuals like you in bringing your yoga off the mat. How do you live your yoga? We offer mentorship to our teachers. We provide yoga and mindfulness education to individuals who work frontline in their communities, supporting them in making their work more sustainable. We value building sustainable and beneficial relationships with the communities who host our programs and integrate these values directly into our curricula. We support several NGOs (Non-government, non-profit organizations) and engage in community projects. We offer scholarships and work exchange opportunities to make our programs accessible to more people around the world. We develop projects & trainings to benefit populations in need. 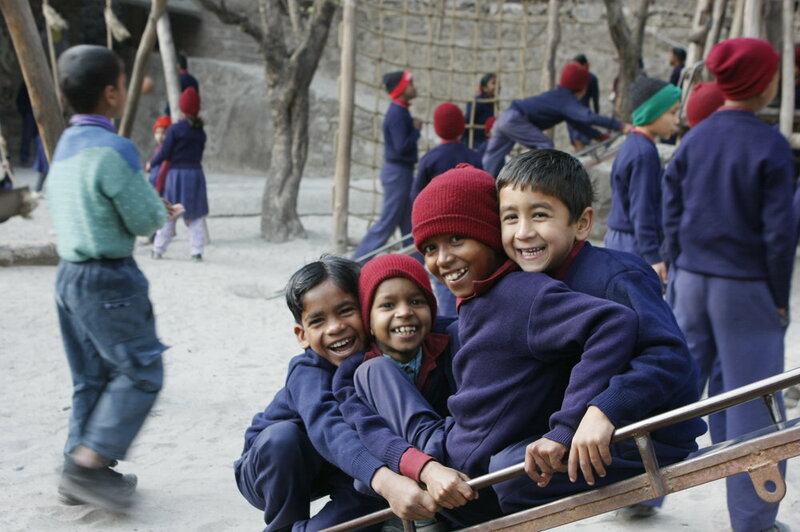 Ramana’s Garden is a free English school in Rishikesh, India that provides K-8 education for over 160 students from underprivileged families. In addition to supporting the education and training required to become independent, functioning adults, Ramana’s Garden also serves as a home for more than 60 at-risk children, providing a healthy, loving environment in which to grow. Each child’s development is supported by a faculty of long-term volunteers who act as extended family members, holding space for the children to find out what they love to do while encouraging creativity, self discovery, and group responsibility. We feel blessed to have been a part of these inspiring children’s lives for the past 9 years.